Eighteen years ago, on the rugged hills west of Reno where others had seen only sage brush, thistle and rolling hills, Blake Smith saw opportunity. He “saw” Somersett, the six mile, master planned community that will encompass about 3,300 homes when completed. Smith started purchasing the land that makes up Somersett in 1991. It was quite a challenge with 43 landowners holding parcels ranging from 40 to 80 acres. For the first four years he used his own money; parlaying profits he’d made from his commercial mortgage company, a business he founded in 1987 when he was 27. Acquiring the land was just part of the puzzle. He also had to shepherd the process through some significant legal and political hurdles. 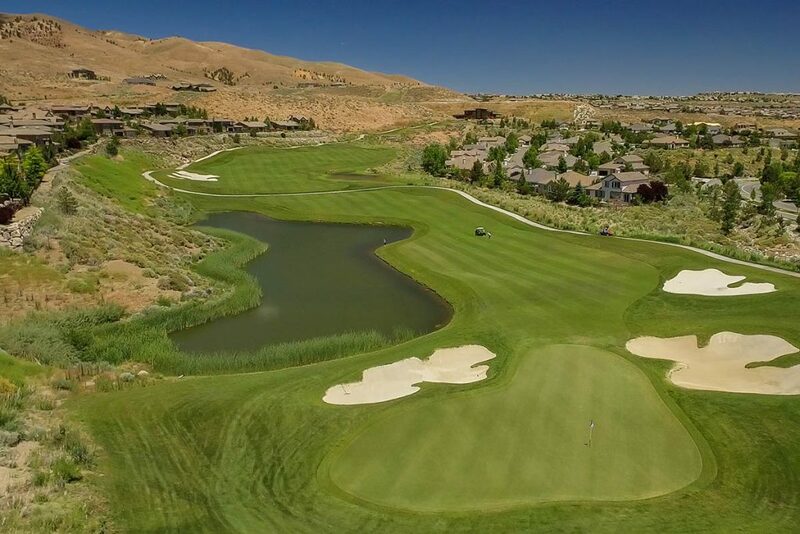 In the spring of 2001, Tom Kite was commissioned to create a signature golf course that would be the center piece for the Somersett Community. The architectural design team of KBR, Tom Kite, Roy Bechtol, and Randy Russell, began to scour the hillsides in May of 2002, setting up markers and outlining what would be the tee boxes, fairways, greens and hazards. 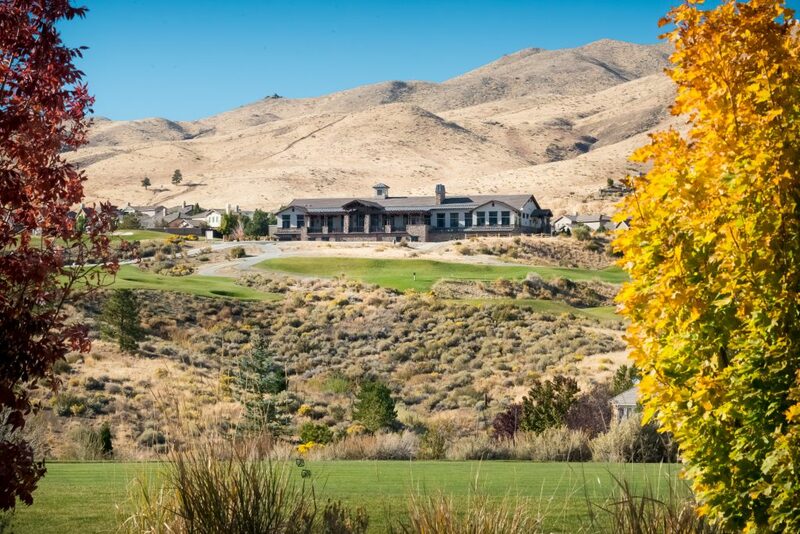 Slowly, the hillsides began to take shape of a course, and it began to naturally blend into the high desert landscape of what is now a Tom Kite Signature Championship Golf course. Because of the elevation changes, a 400 foot wide golf envelope was chosen in place of the standard 300 foot envelope to ensure plenty of room to play. “I tried to find variety in terms of length, direction, slope, and shot shape. That challenge is magnified when designing a course with elevation changes like Somersett”. The bent grass greens are also on the generous size with numerous pin locations and challenging contours. Following the USGA guidelines for greens construction has helped ensure perfect playing conditions and a true ball roll on each and every putt. The design of this world-class golf course was very much a hands-on experience. In the summer of 2004, the first nine holes opened for member play. As the home development continued, so did the golf course. In the summer of 2005, the second nine holes opened, and our spectacular golf course became a reality. Tom Kite played the inaugural round on September 18, 2004 to the delight of Members, perspective new Members, guests, media and local dignitaries. Somersett Golf & Country Club was now on the map. Evan joined the Somersett team as Controller in early 2016. He has a bachelors degree in accounting from the University of Nevada, Reno and is a Certified Management Accountant (CMA) as well as a member of the Institute of Management Accountants. He has previously held positions as an analyst for Microsoft, an accountant at a local non-profit, and a senior accountant at a contract electronics manufacturer with $50+ million in annual revenues. He got his start in the country club accounting field while working as an accounting assistant at Thunder Canyon during college. Altogether, Evan comes to Somersett with over 8 years of experience in business and accounting. He also has extensive experience in the customer service industry, having worked as a server, bartender, and valet throughout college. Evan has been a Reno resident since he was three months old and loves everything the area has to offer. 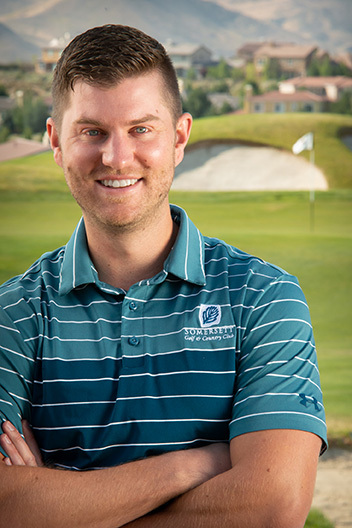 Evan has been passionate about the game of golf since a young age and is happy to be a part of the great Somersett team. At the age of 3 Stuart began hitting balls in the backyard of his Los Angeles home. His family moved to Rocklin, California in 1966 into a house located on the 6th hole of Whitney Ranch Golf Club which was undoubtedly the driving force of Stuart’s love for the game. As an only child, he spent endless hours on the golf course and even laid out his own golf course in the backyard. Stuart was active in junior golf. He qualified for two US Junior Amateur Championships (1978, 79) and was the youngest winner of the Roseville City Amateur Championship (1978). Stuart played college golf at UCLA alongside teammates Corey Pavin, Steve Pate, Tom Pernice Jr., Duffy Waldorf, and Jay Delsing where he recorded the lowest round shot by a Bruin at Bel Air Country Club – 64. He went to the Round of 16 in both the Trans-Mississippi Amateur (1980) and the US Amateur (1980). Stuart graduated with a BA in Sociology and turned professional in 1984. His pursuit of the PGA Tour lasted 9 years where he went to the final qualifying stage for the PGA Tour four times (1986, 88, 89, 90) thus earning his playing privileges on the Ben Hogan Tour and Nike Tour – now known as the Nationwide Tour. Stuart played the South African Tour (1985-92) enjoying his best year in 1989 with a win in the Palabora Classic and two third place finishes ending 6th on their money list for the year. Stuart switched gears and became an assistant golf professional at Sierra View Country Club in Roseville, California in 1992. If he wasn’t going to play for a living, he was certainly going to follow his passion for golf. In 1993, he left Sierra View and went across town to a new facility, Granite Bay Golf Club. Stuart spent 13 years at Granite Bay working his way up through the ranks to Director of Golf. 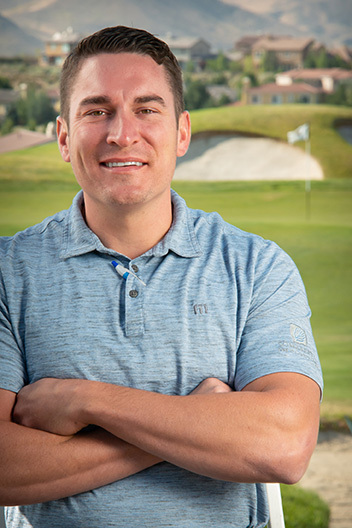 In 2007, he moved to Reno taking on the role of Head Golf Professional at Somersett Golf & Country Club where he is currently the Director of Golf. Stuart still enjoys being competitive and was Northern California PGA Player of the Year in 2004 earning him a spot in the 2005 AT&T Pebble Beach Pro-Am. Stuart was named Sierra Nevada Junior Golf Leader (2007) and Sierra Nevada Chapter Player of the Year (2009,2012,2013,2014,2015,2016). In 2010 Stuart was recognized by the Northern California Section PGA as Junior Golf Leader of the Year. 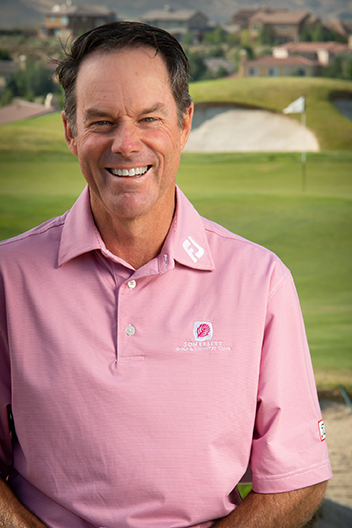 Stuart qualified for and participated the 2011 PGA Championship @ Atlanta Athletic Club, 2013 PGA Championship @ Oak Hill Country Club, 2013 Senior PGA Championship @ Bellerive Country Club and the 2014 & 2016 Senior PGA Championship @ Harbor Shores Golf Club. Stuart made the cut palyiong all four rounds of the 2014,2016 Senior PGA Championship finishing T70 and T60. Stuart will look to better those finishes in the 2018 Senior PGA Championship again at Harbor Shores. In 2016 Stuart received the highest honor a professional can have in his/her PGA Section – Professional of the Year. It is quite an honor to be recognized by his peers as the best of the best. Stuart is a highly regarded teacher and is one of 150 Certified AimPoint Green Reading Instructors in the US. Robert has been a Class A Golf Course Superintendent for 20 years. 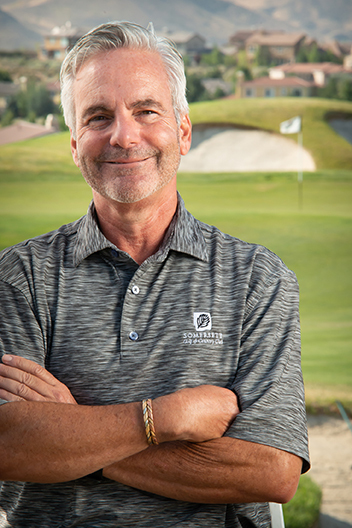 He has been the Superintendent at Somersett Golf & Country Club since it’s inception where he worked directly with the golf course designers at KBR Design overseeing construction and the responsiblity for grow-in and opening of all 27 holes. Robert also performed the grow-in of Arrowcreek Golf Course where he opened that course and was course superintendent of ArrowCreek’s 36 holes. Robert also was the Regional Superintendent for a major golf management company in Northern Nevada and Northern California. Other previous positions include Spyglass Hill, Newport Beach CC, and Palm Valley CC. 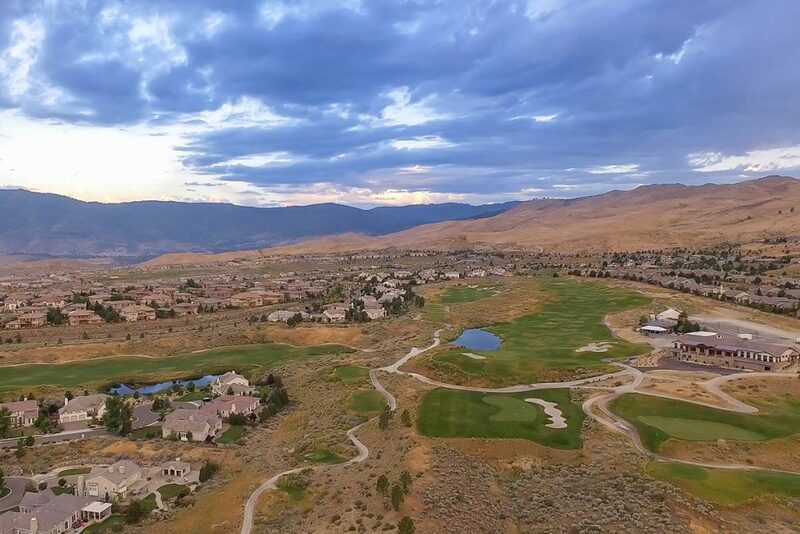 A division of East West Partners, is the premier lifestyle operator for the outdoor enthusiasts in the North lake Tahoe/Trukee area is offering Somersett Members access to discounted golf at Old Greenwood, and Gray’s Crossing Golf Courses. Also, limited access to Schaffer’s Camp, private mid-mountain dining at Northstar. Club Corp, Inc is one of the largest club operators in the world. They offer the opportunity to enjoy a wide variety of their exclusive and “Members Only” business clubs, private golf clubs and resorts around the world. Access to these amenities will be through ClubCorp’s Clubline where with one phone call, you can book all your arrangements as a Somersett/Clubline Member.